BiliBlanket Light Meter II helps you provide optimal treatment for your patients with jaundice. 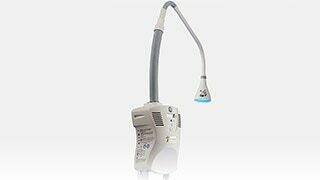 It provides a quick and reliable measure of light from phototherapy systems, such as the BiliSoft ™ LED Phototherapy System and the Giraffe ™ Spot PT Lite. The BiliBlanket Light Meter II measures light energy that strikes its photo-detector and lets you know, via a digital readout, whether the phototherapeutic light being delivered to your patient is within the light spectrum currently considered optimal for jaundice treatment. It helps you take an accurate irradiance measurement. With the BiliBlanket Light Meter II, you can quickly and easily measure therapeutic light intensity from various phototherapy systems to make sure your patients are getting the right amount of light. Protect the light meter and carry it around easily with an included carrying strap and a pouch. 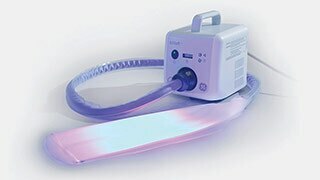 You can use the BiliBlanket Meter II with LED, fluorescent, halogen, and fiberoptic phototherapy systems.